GRE vs LSAT: Which Should You Take? This fall semester, Harvard Law School opened its doors to the first class of students who did not have to take the LSAT in order to be admitted. They are now among a couple dozen schools that now accept GRE scores as an alternative to the traditional LSAT. 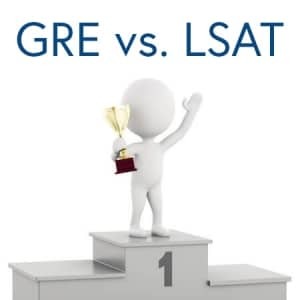 With more prestigious law schools accepting the GRE in lieu of the LSAT, prospective law students now need to ask themselves which test best improves their chances of being accepted. Why Have Law Schools Started Accepting GRE Scores? LSAT vs. GRE – Which Test Should I Take? Ultimately, a standardized test is used as a predictor for success – that is, will a student with a certain score be likely to succeed in graduating law school? GRE scores, the University of Arizona Law found, could be taken as “a valid and reliable predictor of students’ first-term law school grades.” Starting in February 2016, the University of Arizona became the first law school to accept the GRE instead of the traditional LSAT. Some law schools do not require the LSAT as a way to attract students from less conventional career paths. For instance, the GRE, which has a math section, may appeal to STEM majors more than the LSAT. Current graduate students can also use the GRE score they received in the last five years when applying to law school. The GRE allows students to feel less restricted in their pursuit for higher education than the LSAT does because the LSAT can only be used to apply to law school. Now more students can consider law school along with any other graduate program without devoting extra time preparing for another test. While more schools accept both exams as a good predictor for success in law school, they are two distinct exams, each with advantages and disadvantages. The Law School Admission Test (LSAT) is the standard admissions exam aspiring law students take. All U.S. law schools approved by the American Bar Association and Canadian law schools accept the LSAT. The Graduate Record Examination, or GRE, is a general standardized test that most graduate programs either require or accept for admission. Only 23 law schools currently accept the GRE. 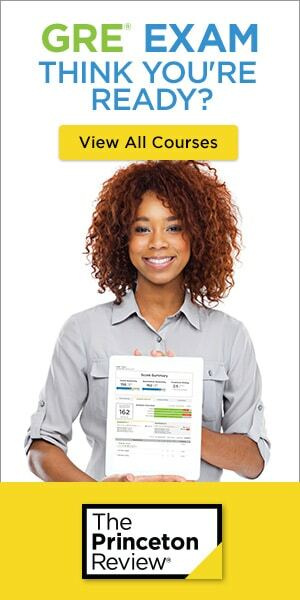 The GRE is an exam usually administered via computer, while the LSAT is administered on paper. This affects the availability of each test: the GRE is generally offered continually throughout the year, while the LSAT is only offered six times per year. The LSAT consists of six 35-minute sections, with five multiple-choice questions and one writing sample. The questions are designed to test your aptitude for thinking analytically and logically. Four out of five multiple choice sections make up the score you receive. These sections are comprised of one reading comprehension section, one analytical reasoning section, and two logical reasoning sections. The unscored section tests potential questions for future tests as well as potential test forms. You only know which section was unscored when you receive your test results. The writing sample prompts you to choose between two positions and defend your choice. This section demonstrates your argumentative writing skills, including your command of language, reasoning, and clarity. While the writing sample is unscored, a copy is sent to the schools you apply to. The GRE has six sections: two verbal reasoning, two quantitative reasoning, and two analytical writing section. Together, the test takes about 3 hours and 45 minutes. These sections are designed to test your ability to understand and synthesize information, to solve mathematical problems, and to defend and evaluate an argument. Because the test is administered on the computer, the test is also adaptive, so the sections may become harder or easier depending on your performance on previous sections. The GRE weights your final score on the difficulty of the questions you took. The writing section has two separately timed parts, “Analyze an Issue” and “Analyze an Argument.” In the Issue task, you must agree or disagree with a claim in the prompt and explain your position. In the Argument task, you must evaluate a given argument for its logical soundness. If you’ve already taken the GRE test or even GRE practice tests and are wondering what your equivalent LSAT score might be, we’ve created a GRE to LSAT conversion calculator to show you estimated equivalent scores between the two. Just input your GRE scores for Verbal Reasoning and Quantitative Reasoning and you’ll see an estimated equivalent LSAT score. If you’re unsure about your career path, the GRE opens more options than the LSAT, which only applies to law programs. Nearly every graduate program, barring law and medical, uses the GRE as the standardized test to measure your abilities. The GRE may be the best choice if you have any doubts about a career in law. While you can pick and choose which GRE test results you’d like to send to your prospective law programs, every LSAT score report shows all attempts. Law schools take into consideration the average of your scores, so a few low scores can really impact your application. Also, some schools may require you to submit your LSAT score if you’ve taken it, even if you’d prefer not to report it. You can’t botch the LSAT, then choose to report the GRE instead. The GRE may be a safer choice, since you can immediately cancel less favorable scores. In terms of availability, the GRE is the superior test. Unlike the LSAT, which is only offered six times a year, the GRE is offered almost every day of the year. If you have a busy schedule, or if you have test anxiety, the GRE allows you to pick almost any date that works for you, while the LSAT requires you to take the test on a specific date or wait months for the next test date. While both the LSAT and GRE have sections that test your reading comprehension, only the LSAT has questions known as “logic games,” found in the analytical reasoning section. These often present a set of objects in an unknown order with a number of rules, and you must figure out valid orders or patterns from the information given. These test your ability to analyze and infer information from a given scenario, but they aren’t for everyone. Practice a few logic games, and if you find you have trouble following the question or get confused often, you may want to reconsider taking the LSAT. While more law schools don’t require the LSAT, all of them accept it. Of the 205 ABA-approved law schools, only 23 currently accept the GRE. If more than a few schools you’re considering aren’t on that short list, you should consider studying up for the LSAT. Law schools generally report statistics for the entering class. You can check out the demographics, average GPA, and average LSAT scores of the entering students on the law school’s website. However, these schools have not begun reporting their average GRE scores. You can use a GRE to LSAT conversion chart to better understand the score equivalency, but keep in mind that schools may not adhere exactly to these kinds of conversions. If you want to be absolutely sure about your standardized test scores, you should go with the tried-and-true LSAT. If the idea of doing geometry and algebra causes you immediate anxiety, you may want to avoid the GRE and take the LSAT instead, which does not have math questions. On the other hand, if you’re a STEM major, or if you preferred the math section to the verbal section of the SAT, then you may prefer taking the GRE instead of the heavily verbal-based LSAT. Despite only being offered six times a year, you can choose to take the LSAT all six times as of the September 2017 policy change that removed limitations on how many times you can take the test. On the other hand, you can only take the GRE once every 21 days, and five times every 12 months. That being said, remember that the LSAT reports all your scores to your prospective schools. With the GRE, you can choose to cancel any score reports you don’t like. Whether you should take the GRE or the LSAT all comes down to which test best suits your needs. Ask yourself how sure you are that law school is for you. If you’ve wanted to be a lawyer since you were in elementary school, joined your debate team in high school, and majored in pre-law programs, you’ve probably been looking at the LSAT for a while now. There’s no real reason not to take it, unless you perform better on math questions. Also, if your school of choice isn’t on the short list of law schools that accept the GRE, then you absolutely should take the LSAT. On the other hand, if you aren’t absolutely sure about your dedication to the legal field, or if you’ve just recently gained interest in the law, consider the GRE. It allows you to switch fields and transfer to another graduate program without extra hassle if law school isn’t for you; conversely, you can also explore different graduate programs before deciding on law school without having to stress over the LSAT. Whichever you take, remember that standardized test scores are not the only important part of your law school application. Make sure that your personalized statement, letters of recommendation, and resume all indicate that you’re ready for the rigor and dedication that law school requires. ACT vs. 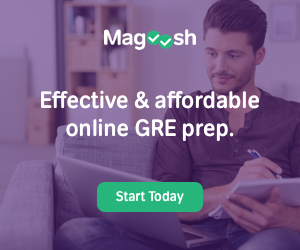 SAT – 2019 Ultimate Guide Magoosh vs Manhattan Prep GRE: Which Course is Better?